Between 1957 – 2012, CLA Journal devoted 31,298 pages exclusively to articles. The articles from 1970 – 1979, to which we devoted special attention, account for approximately 4,529 pages or 21% of the total pages devoted to articles. In a previous blog entry, we noted the publishing productivity of the 1970s, but we wondered: what accounts for the shifts, and apparent decrease, over the years? Maybe a change in article length helps explain some changes. 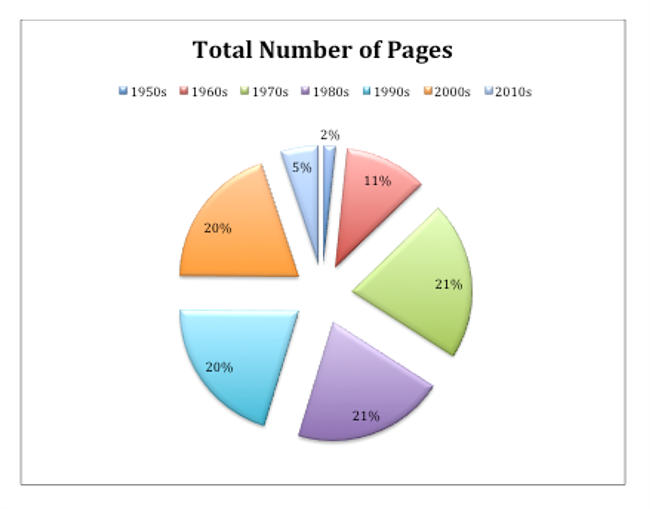 During the 1970s, the average page number for an article was 11 pages. Over the decades, the average page numbers of articles rose while the number of actual publications decreased. 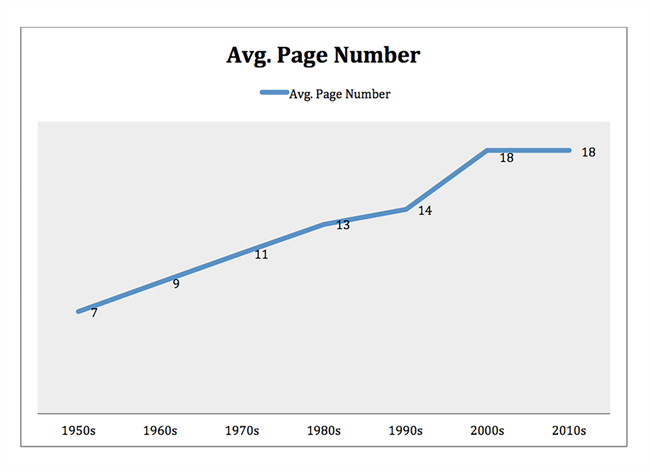 Each decade since the 1950s, the average page numbers rose. Perhaps there was trade-off over the decades—fewer but longer articles.